Sheldon Axler was valedictorian of his high school in Miami, Florida. He received his AB from Princeton University with highest honors, followed by a PhD in Mathematics from the University of California at Berkeley. As a postdoctoral Moore Instructor at MIT, Axler received a university-wide teaching award. Axler was then an assistant professor, associate professor, and professor at Michigan State University, where he received the first J. Sutherland Frame Teaching Award and the Distinguished Faculty Award. Axler received the Lester R. Ford Award for expository writing from the Mathematical Association of America in 1996. In addition to publishing numerous research papers, Axler is the author of six mathematics textbooks, ranging from freshman to graduate level. His book Linear Algebra Done Right has been adopted as a textbook at over 300 universities and colleges. Axler has served as Editor-in-Chief of the Mathematical Intelligencer and Associate Editor of the American Mathematical Monthly . He has been a member of the Council of the American Mathematical Society and a member of the Board of Trustees of the Mathematical Sciences Research Institute. 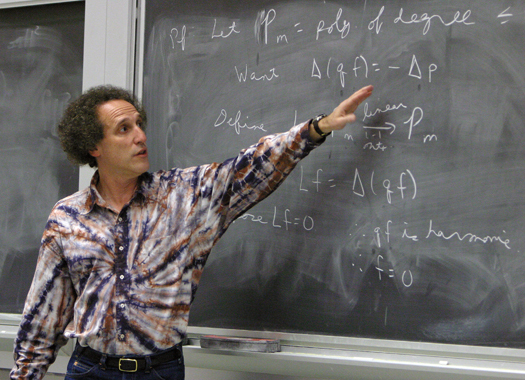 Axler currently serves on the editorial board of Springer's series Undergraduate Texts in Mathematics, Graduate Texts in Mathematics, Universitext, and Springer Monographs in Mathematics. Axler has been honored by appointments as a Fellow of the American Mathematical Society and as a Senior Fellow of the California Council on Science and Technology. Axler is currently a Professor in the Mathematics Department at San Francisco State University, where he joined the faculty as Chair of the Mathematics Department in 1997 and then was Dean of the College of Science & Engineering from 2002 until 2015.